HUNGARY HUNTING PARADISE OF EUROPE!!! Where we are?! Bordering countries: Austria, Slovakia, Ukraine, Romania, Serbia, Croatia, Slovenia. Hungary is located in the center, in the deepest part of the Carpathian Basin covering an area of 93,030km². More than 70 % of the this territory consists of the Great Plain. Climate: Moderate continental: cold winter, pleasant spring, hot summer and enjoyable autumn. The coldest month is January, when the average temperature is -4°C (25°F), and July is the warmest, with an average of 25°C (77°F). Hungary’s average temperature is 8°-11 °C (46°-52° F). Our Capital is Budapest: Hungary’s Capital is word-famous for its spectacular panoramic view over the Danube River and its significant architecture. Budapest is the northernmost capital city, where Roman artifacts are located next to monuments reminding the Turkish times. 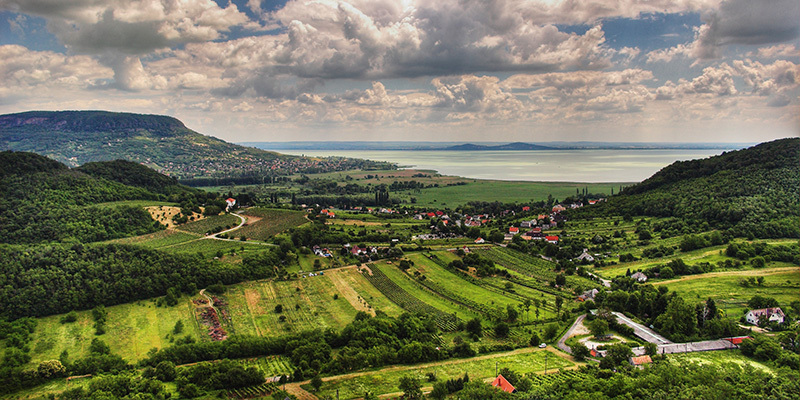 The most popular destination for guests, besides visiting the capital, is traditionally Lake Balaton where northern and southern shores offer good conditions for relaxing as well as for sailing. However, Hungary is more than Budapest and Lake Balaton. Regional attractions, characteristic cuisine, natural and architectural beauties are also worth a visit. The culture of various (folk, gastronomic, music…etc) festivals and events has been established in the past decades. These have become popular events visited by tourists and local citizens offering a great opportunity to learn and experience unique features of Hungarian regional cultures. It is worth to ask for some information about regional curiosities when planning your visit. Water is one of the most important treasures of the Carpathian Basin, especially thermal springs with their special composition and healing effect. The foundation of spa culture brings us back to the 150-year long Turkish occupation (16th-17th centuries) which has nowadays developed into one of the most important recreational activities of visitors and local citizens. Let us name some of the famous resorts Hévíz, Harkány, Egerszalók, Mezőkövesd, Hajdúszoboszló and of course Budapest. Recreational and medical services are associated with these locations. Besides resting and relaxation of course, gastronomy is an indispensable factor for getting to know a country. It is worth to look for specialities. Local producers offer clean, healhy food and meals as well as drinks. Once in Hungary you shall try wine regions around the Lake Balaton, near to Pécs, offerings of Region-Villányi, kings and princes wine in Tokaj or near Kecskemét, offerings wine of Region-Kiskunság. Speaking about fruits and drinks, we must mention real Hungarian Pálinka (brandy) tasting. In addition to the palinka made of garden fruit (plum, pear, peach, cherry, quince) some sorts of wild fruits (e.g. blackthorn, dogwood) also deserve your attention. Amidst all this you can enjoy the legendary traditional Hungarian hospitality. In order to reach your final destination as fast as possible, we recommend the airports of Debrecen, seasonally Lake Balaton, and Kosice (Kassa) located in Slovakia close to the Hungarian border (north). Hungary has been a superpower of hunting for many centuries. Hunting World Exhibition was held in Hungary in 1971. The Hungarian big game population is world-famous. Many CIC and SCI world records of big game trophies originate from here, thanks to the excellent habitats, to the perfect genetic and to the great professional hunters. The annual number will reach 350,000 by shots of big game, 1 million per year of small game, of which by 30,000 foreign hunters. An increasing number of overseas guests choose Hungary for hunting every year as they have been enchanted by the picturesque landscape, the memories of thousands years of culture and legendary hospitality, the world of Hungarian cuisine taste. In Hungary there is the largest hunting success rate, predicting a memorable successful hunting experience. Thanks to the work of well-trained hunting professionals, the high density of wildlife is sustainable. Hungarian hunting culture puts great emphasis on the traditional hunting culture and makes huge efforts to preserve and pass this hunting tradition to the future generations. Hunting Museum: it is Europe’s largest specialist museum of farming, located in Budapest in an architectural masterpiece of the significant Castle Hunedoara (Vajdahunyad). Gothic wing of floors of the Hunting Museum, are divided into four different rooms: armory, room of world record trophies, room of big game and the related art and design sections. The exhibition also contains outstanding wild species encounter, like bison, which became extinct in the 18th century, and a three quintals brown bear, shot in 1907. World-famous trophy collection is presented either in chronological order or in a still world record of deer, fallow-deer, roe-deer and wild boar trophies.